Despite the obsession with the ultra polished Scandi minimalist trend, there seems to be an air of rustic that is gaining popularity and pushing the more ‘pretty and perfect’ look to the sidelines. Think about the last time you strolled through a sunshine-filled, Summer forest. Take these colors and mold them into your home decor. 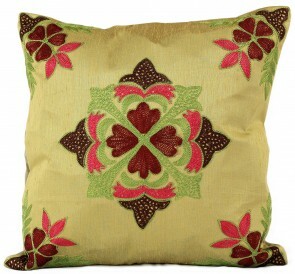 Warm, oak browns, leafy greens, river greys and the blue of the Summer sky are all commonly used in rustic decor. The general rule of thumb is to stick to a mostly neutral palette, then bring in hints of soft color to add a natural edge. 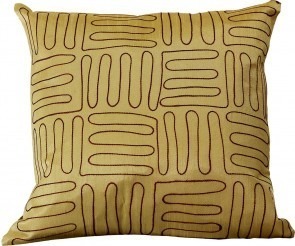 As for textures, the more the merrier, just ensure you keep them more towards the natural side of the spectrum. The inspiration photo above has a beautifully balanced amount of lighter and darker neutral tones and the darker wooden ceiling and floors really adds to the warm, rustic atmosphere. 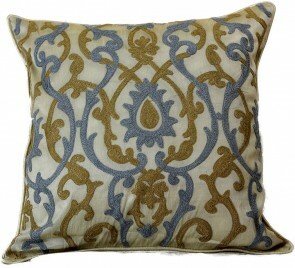 Bring in little pops of color to your neutral palette with our printed pillow covers. 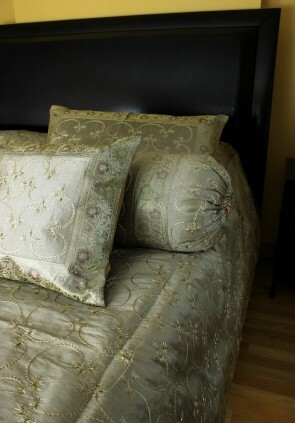 Burnished metals are a must when it comes to getting that rustic look! Opt for metal pieces that look worn in copper, rose gold and antique silver shades. 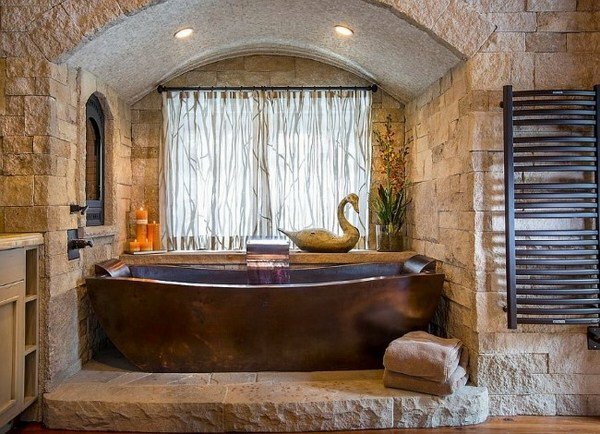 This bathroom takes the burnished metal trend to a whole new level with a copper bathtub! Although it may be a little too much metal for some, we can’t deny that it looks absolutely stunning against the exposed brick walls. If large chunks of metal are not your thing, opt for statement embellishments in burnished metal, such as vases, hanging lights and Moroccan-style lanterns. 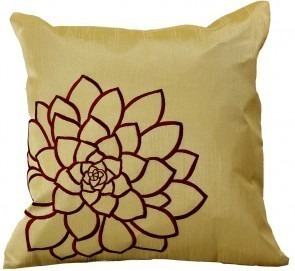 If it’s from the earth, it belongs in your rustic home! Marble, wood, bamboo, wool and brick are all huge a huge yes when it comes to this trend. The best part? Nothing is too much! Simply keep your palette fairly neutral and throw in as many natural textures and building materials as you like. 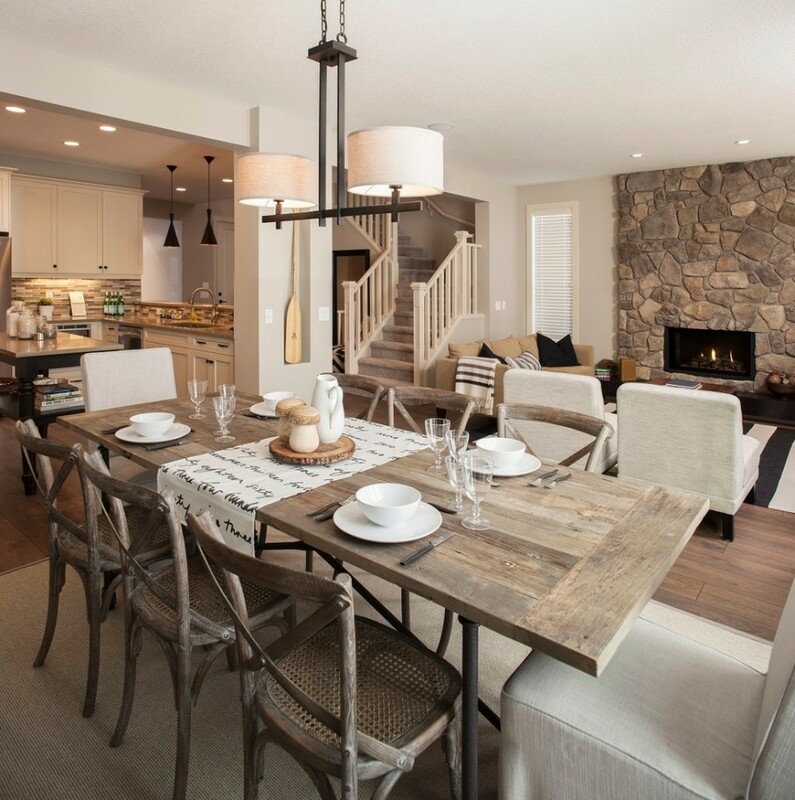 This open plan kitchen, dining and living room is what rustic dreams are made of. Exposed brick walls, a wooden table and floor and bamboo chairs give it that soft and homely ‘thrown together’ look. The mish-mash of textures works especially well as the room stays towards the light beige-y end of the neutral palette, meaning more textures can be clashed without it looking cluttered. The dining area is cleverly separated from the rest of the open-plan design by a carpeted floor. The dining area itself is kept tidy and polished through a raw wooden table and bamboo chairs in very similar beige shades. 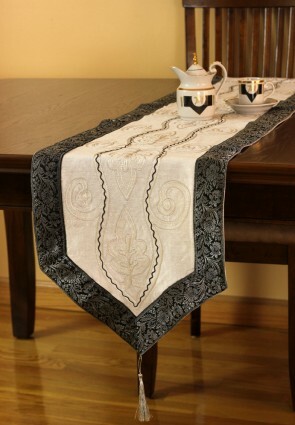 A simple table runner brings in the tonal elements of the living room, whilst remaining relatively simple. 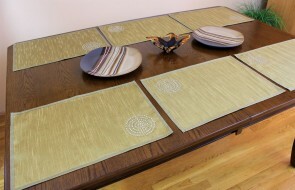 Decorate your table with natural textures and tones to add detail, but not overpower your dining room. Rustic decor is all about the raw and unfinished, so if you have an exposed brick wall or wooden beams, use them to your advantage! No plastering needed! As well as saving you your precious earnings, exposed building materials give an air of something vintage and cottage-y. 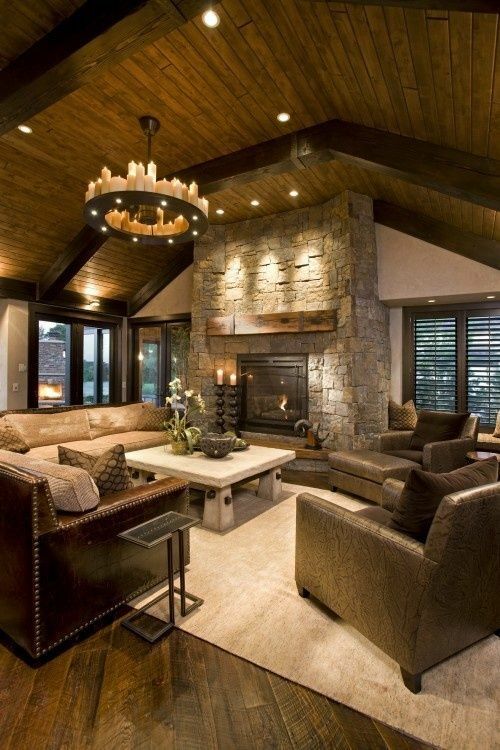 Take the stunning rustic living room above as a prime example. 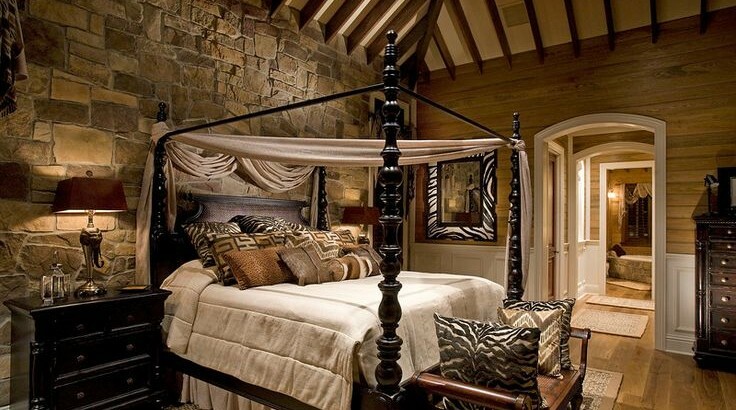 The exposed brick feature wall makes a stunning contrast to the rather lavish four poster bed, with dark polished wood. This air of luxury is carried on through the house in more dark polished wooden furniture and textured rugs. The exposed beams come with an air of Tudor to them and give across the vibe of a snug and homely country cottage. 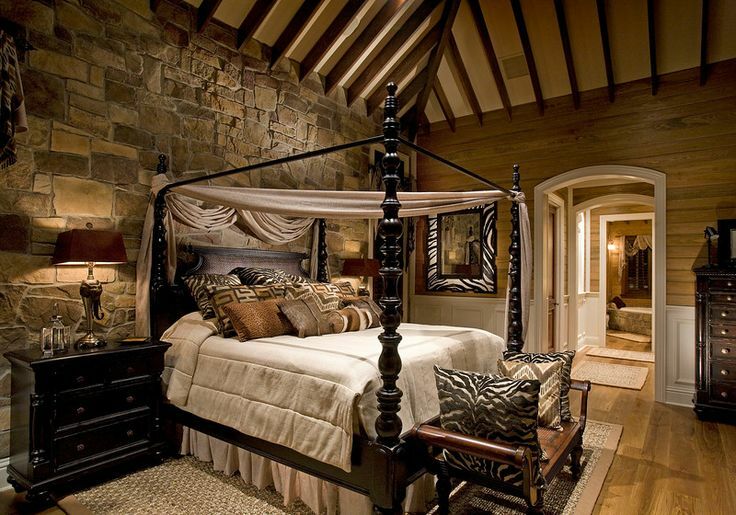 When using exposed bricks in your home, particularly the bedroom, I would suggest having one feature wall. An entire room of exposed brick risks feeling cold and messy. Exposed brick walls provide the perfect backdrop for a lavish and over-stated bed, so add silky textures, hand embroidery details and subtle patterns to your hearts’ content.